We Need to Talk About Opera Mini — Opera Mini has only 3.3% browser share, but is important in certain international markets and Chen Hui Jing makes the case for at least considering supporting it. 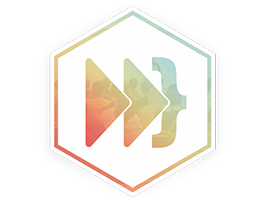 ForwardJS launches in Canada — Three days of in-person workshops and sessions on Mobile Web w/ Vue.js, Angular 2, React, universal apps and Ember, presented by industry experts this April 6-8 in Canada. Grab your ticket before they're gone. Onsen UI 2.2.0 Release: CSS Upgrade — With numerous bug fixes and new versions of bindings for React and VueJS. Getting Started with CSS Grid — Why CSS Grid is a big deal and how to use it. Comparing Performance Between a Native iOS Swift App and React Native — I found the results surprising, with React Native often winning. Introducing Create React Native App — Create React Native App is a new tool to simplify getting started with a React Native project that was inspired by the design of Create React App. AMPconf: AMP Is A Performance Framework That's Growing Up — A very favorable overview of the first ever AMP conference. AMP and the Web — Tim shares thoughts based upon a panel discussion at the AMP conference around how AMP incentivizes use through the carousel and lightning bolt. Angular 2 vs React – The Final Battle – Round 2 — Two developers chime in with their thoughts on Angular 2 vs React. How to Use any npm Module with NativeScript — A look at how to use the nativescript-nodeify plugin to allow use of plugins that are not naturally compatible in the NativeScript environment. Mobile Is 'Top of Mind' in Visual Studio 2017 — Among other mobile focused features, Visual Studio 2017 includes support for React Native and Cordova projects. In AMP We Trust — “But AMP doesn’t trust us”. How Progressive Web Apps Make The Web Great Again — Understanding Progressive Web Apps and what they have to offer. Progressive Web Apps for Education — Hosted and Progressive Web Apps let education ISVs achieve greater reach, discoverability, and more delightful experiences on Windows 10. Thoughts On AMP: Accelerated Mobile Project — A collection of thoughts about the AMP project from some front end engineers working on high profile sites.